fishing on the upper Kissimmee Chain is tough generally. However, at times decent numbers of bass can be found in Alligator Lake, East Lake Tohopekaliga and Lake Gentry. Access to East Lake Tohopekaliga is available in the city of St. Cloud on Lakeshore Drive. Lakes in the Alligator Chain are accessible from a ramp off C.R.534, 5 miles east of U.S. Hwy 192. The lower Kissimmee Chain is comprised of lakes Toho (18,810 acres), Cypress (4,097 acres), Hatchineha (6,665 acres), Jackson (1,020 acres), Marian (5,739 acres), and Kissimmee (34,948 acres). Almost all have periodic navigational problems with hydrilla. The lower Kissimmee Chain is shallow and extremely sensitive to weather fronts in the winter and early spring. Those fishing shiners will be the most successful under strong cold fronts. Speck fishermen divide time between the open water and the grass. Spawning specks start showing up in bulrush, cattails, kissimmee grass and lily pads in December or January. Lakes Kissimmee and Marian are best for bluegill and shellcracker in the one-pound-plus range. The last full moon in March almost always finds bedding shellcracker, and bedding bluegill come in about the time shellcrackers are slowing down (April/May). 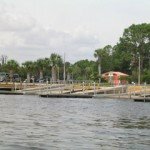 All lakes in the lower chain are accessible from the boat basin in Kissimmee through a lock at the southwest corner of Lake Tohopekaliga. Other access points are at Lake Cypress Rd., off C.R.523 out of St. Cloud; and on Overstreet Rd. (Lake Kissimmee) off C.R.523, 25 miles south of St. Cloud. 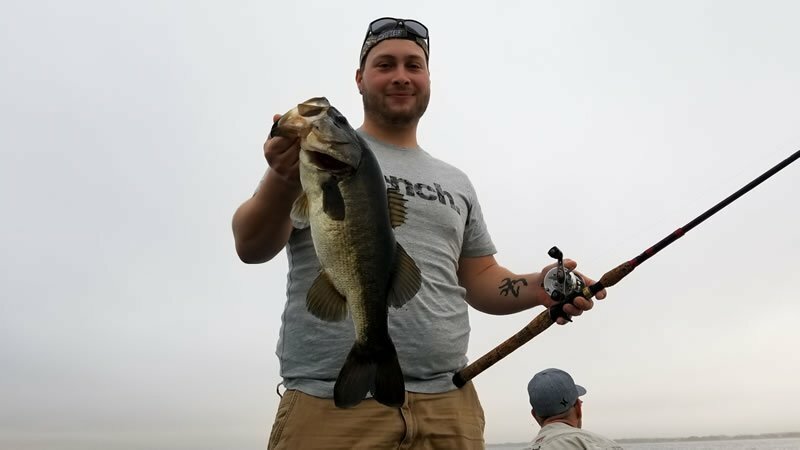 Lake Kissimmee has a national reputation for high quality bass fishing. The 34,948-acre lake is between Lake Wales and Yeehaw Junction in central Florida. In 1996, the FWC revitalized 24 miles of shoreline, resulting in increased numbers of largemouth bass in the lake. 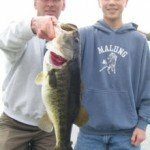 Bass spawned in 1997 and 1998 are beginning show up in the lake. These Bass will provide excellent action with many reaching 10 pounds within the next four or five years. Currently, trophy Bass and high catch rates are reported regularly from guides, fish camps and tournament anglers. Bass tournament winners routinely catch a five-fish bag limit weighing 18 to 25 pounds. Expansive stands of vegetation (maidencane, bulrush, knotgrass) account for excellent catches of Trophy Bass. Slow-trolling golden shiners and flipping plastic baits along, and within, the vegetation are proven techniques, especially during the winter and spring. During the summer and fall, bass are caught offshore with rattling crankbaits, jerkbaits and plastic worms. Six fish camps, one state park and three public boat ramps are available at Lake Kissimmee. Wade fishing is a popular method used by many anglers and access is provided at some of the fish camps and boat ramps.